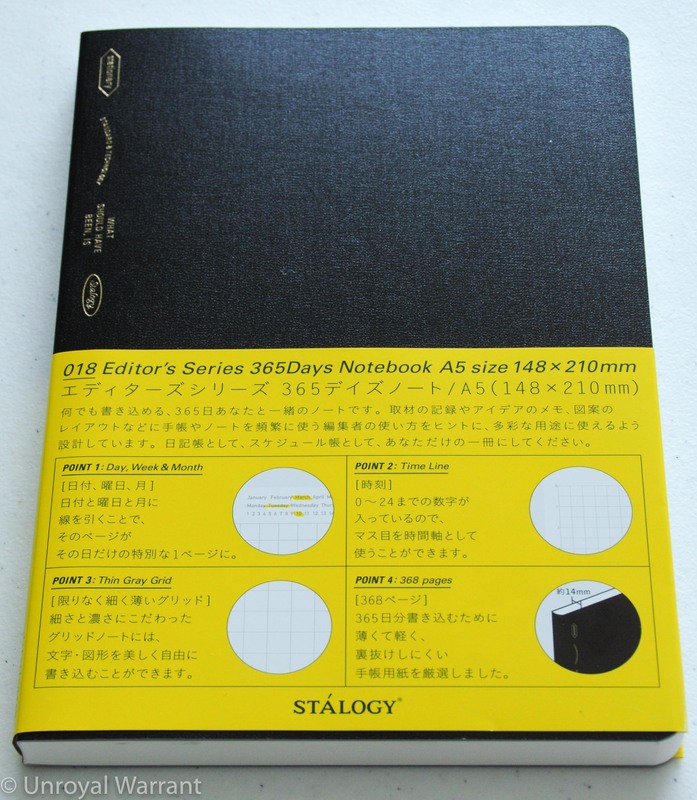 Stálogy is a stationery brand that isn’t particularly well known outside of Japan. They have only been around for a few years and while their line is small, they produce unusually well-executed products. 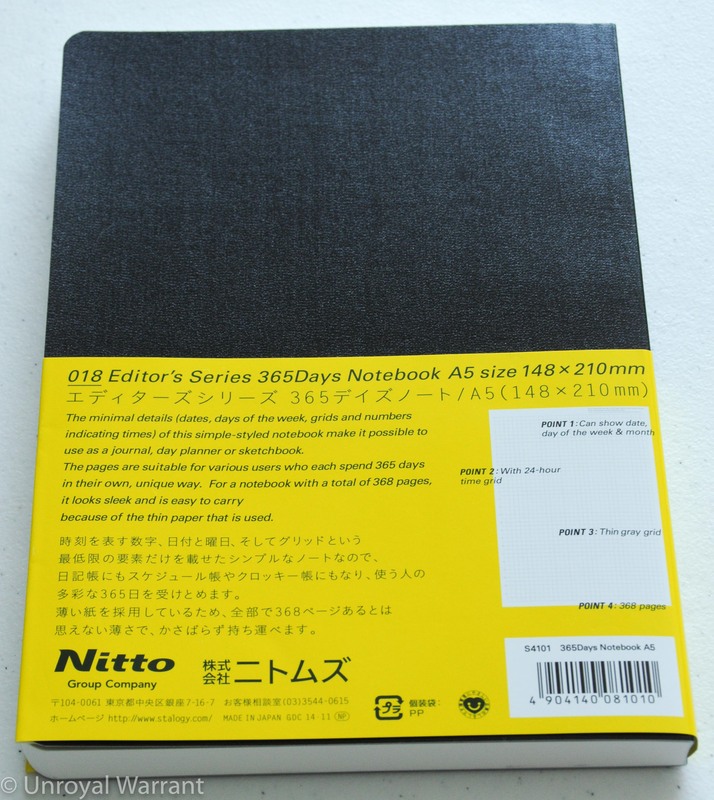 The #018 Editor’s Series 365 Days Notebook (yes, that’s a mouthful) caught my attention with it’s detailed half jacket that highlights its unique features. 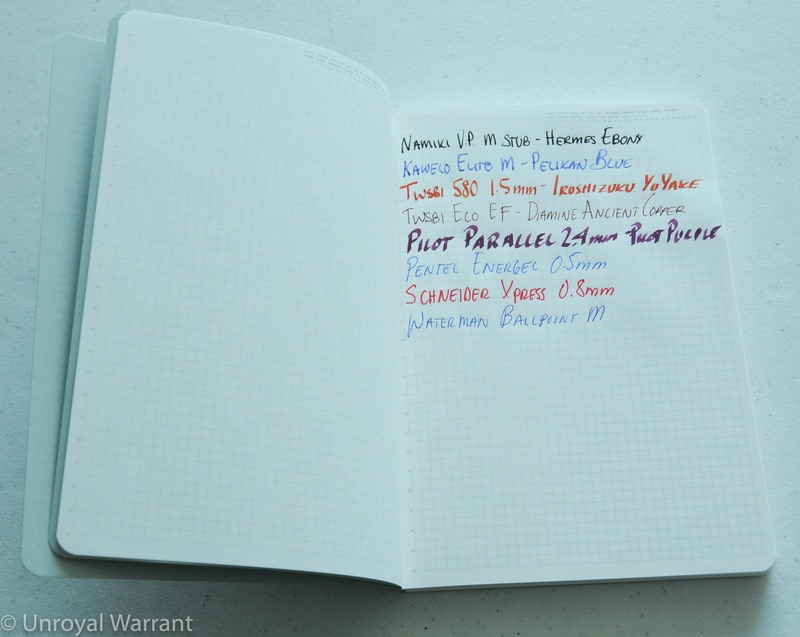 When I picked up the sample notebook the first thing I noticed was how thin the pages were. Packing 368 pages (184 sheets) into a 14mm thick notebook is impressive. 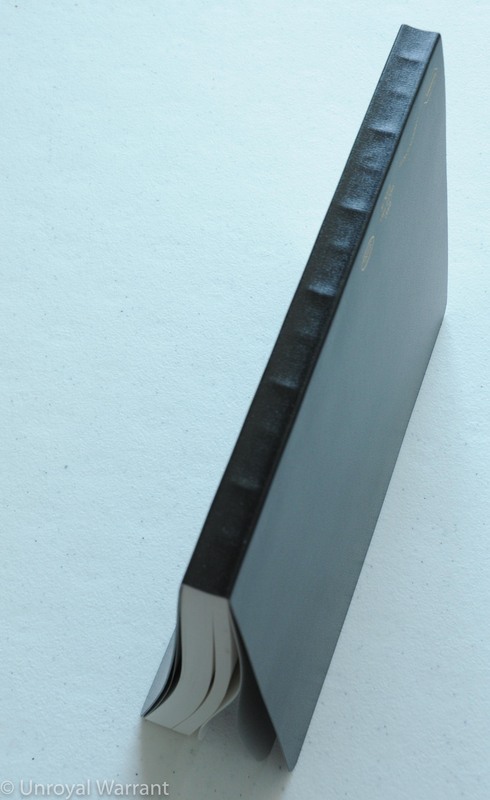 For comparison, my favorite Kokuyo Century Edition notebook only fits 140 pages (70 sheets) into 11mm and with a little bit of math at 14mm the Kokuyo would only hold 178 pages; that’s less than half the Stálogy. The next thing I noticed was the thirty dollar price tag, yikes! Naturally I convinced myself into buying it; I mean, it has double the pages so really thirty bucks isn’t that bad…right? 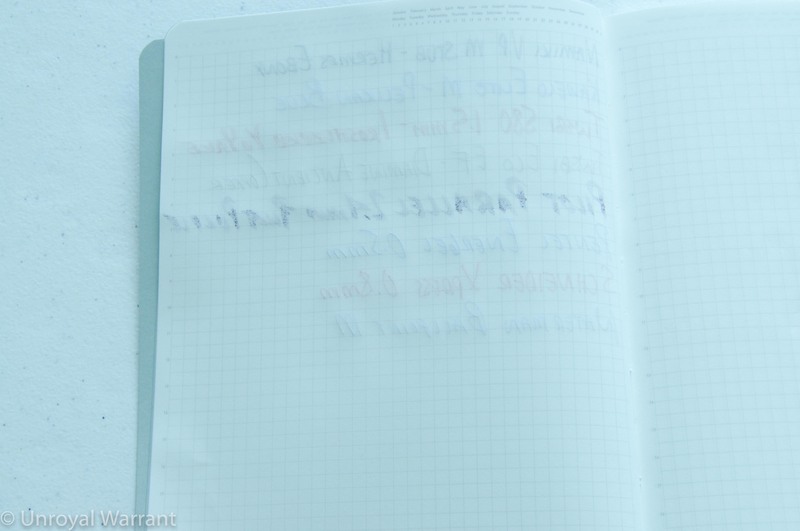 Apart from the thin pages this notebook features a free daily dairy. 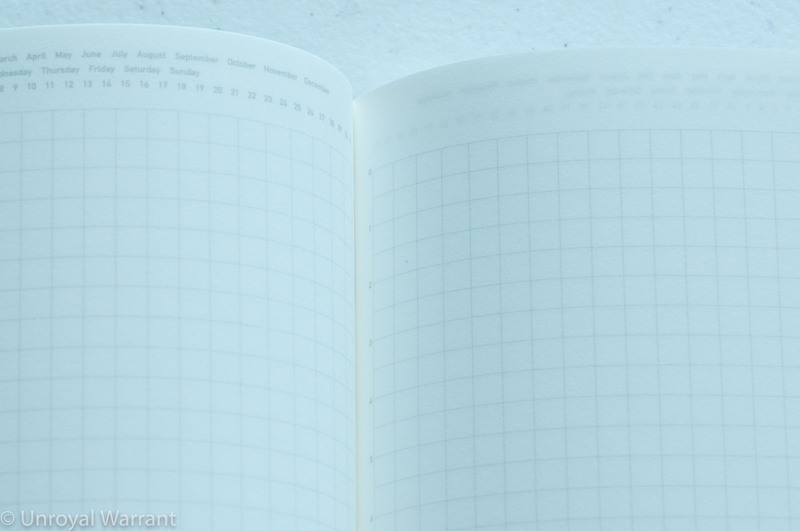 The top of each page lists months, days of the week, and numbers 1-31 so that you can highlight or circle the appropriate date. 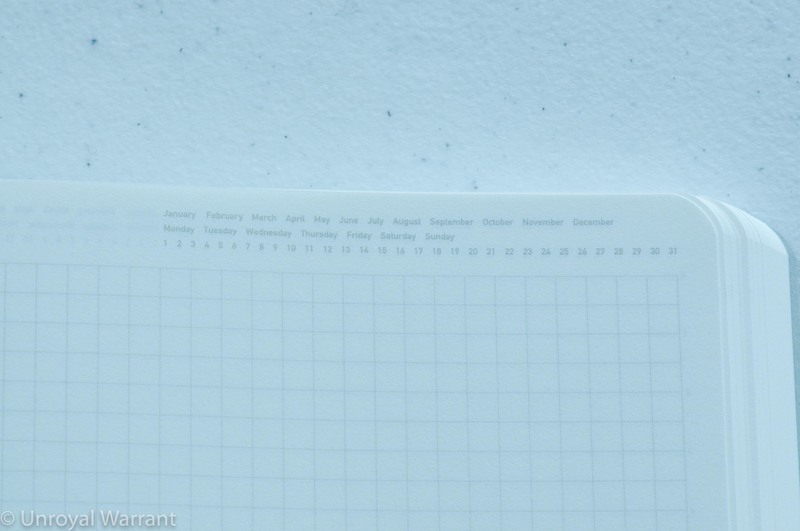 The 4mm grey grid has the numbers 0-24 printed on every other line; this is a 24 hour timeline. I found the calendar to be unobtrusive when I just wanted to take notes but also quite useful when I wanted to keep track of my day. The paper’s performance was very good but being so thin there are some limitations. I would consider this to be fountain pen friendly paper though with my wider nibs I did notice some bleeding and on the really wide 2.4mm nib on my Pilot Parallel there was feathering. There is also some show through. It’s not as bad as you get on Tomoe River paper but it’s noticeable. 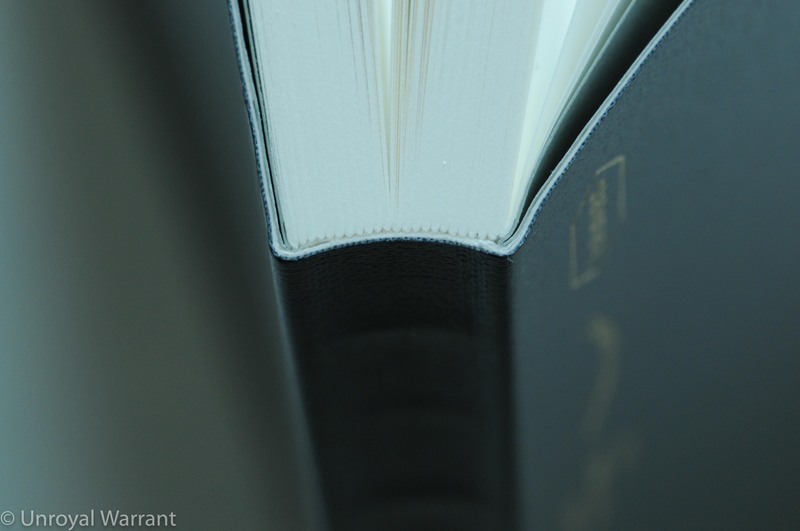 With the stitched binding, flexible spine and tiny signatures there is no denying that this is a very high quality notebook, one that warrants its high price. Would I buy another one? 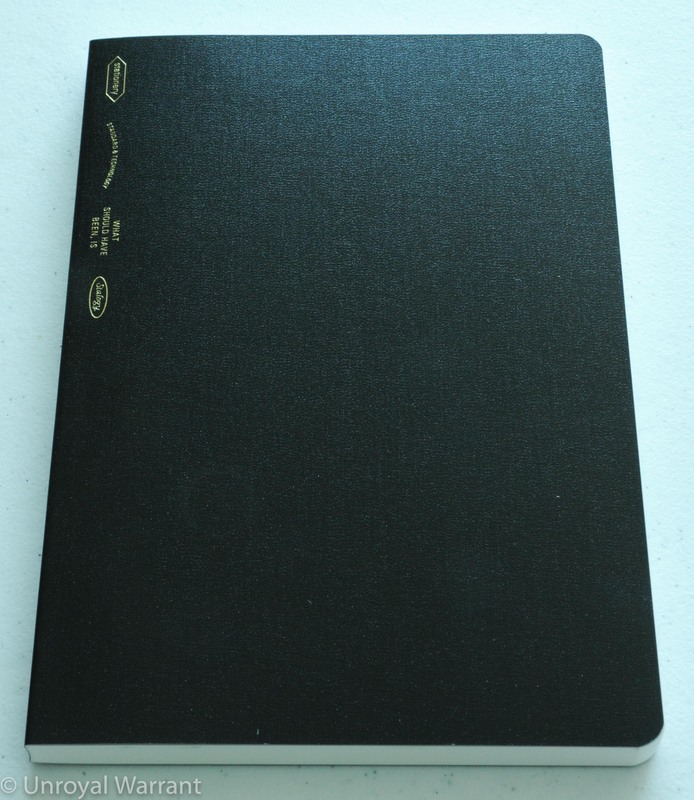 For home use there are other notebooks I like better (like the Kokuyo I mentioned above) but if I wanted to carry a lot of pages in a small package this could be a very good choice.